April 10 - I don't usually post photos of what I eat unless I've made it. However this was a 'must' on our farewell tour. 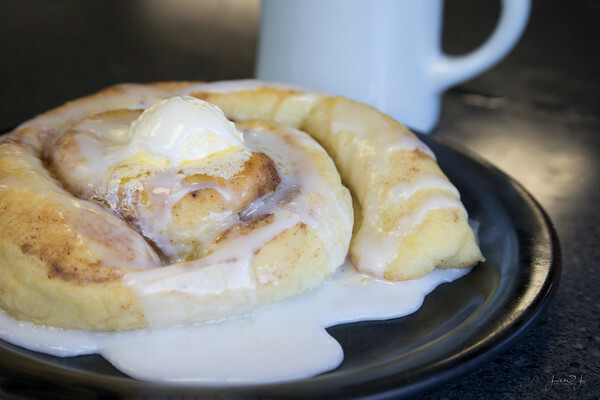 A plate-sized Cinnamon Roll at Paul's Pantry...I savored every calorie filled bite.